American diplomats in China are falling ill with symptoms such as headaches, nausea and hearing loss after hearing "odd sounds" in their apartments. It's an eerily similar situation to what happened in Cuba in 2016 when 24 diplomats complained about strange sounds and nearly identical symptoms. Is sound actually making these people sick? Maybe. At the tail end of 2017, I had the good fortune to babysit some adorable children for a few hours, during which they proceeded to ask all sorts of (mostly PJ Masks-related) questions. One actual question was: 'How does the TV make sound?' 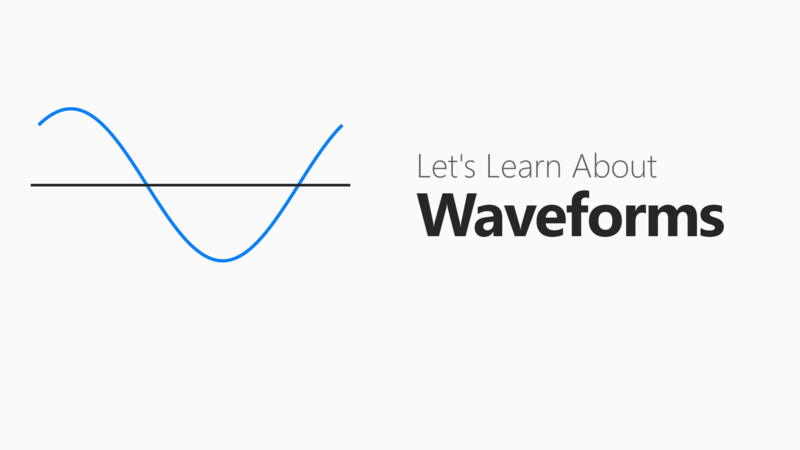 As I explained how sound and air interacted, what I really wanted was something tangible I could use to show them exactly how it works - specifically, I wanted this guide on waveforms. We know for a fact that sound at high volumes can damage hearing, as well as disrupt sleep, cause headaches, induce stress and even raise blood pressure. But sound doesn't need to be loud to cause problems, and it doesn't even need to be audible. 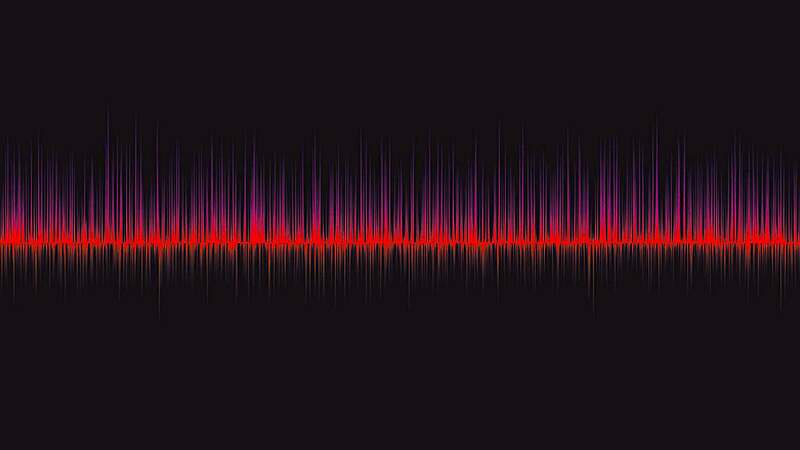 It all comes down to audio frequency, or how often a sound wave occurs each second. Human beings can hear sounds between 20Hz (Hertz) and 20,000 Hz. If the sound's frequency is any higher or lower than that range, we can't hear it. But the sound still vibrates the air and the human body whether we hear it or not, so it can still affect us in a myriad of ways. Enter ultrasonic and infrasonic sound. Ultrasonic sound, or ultrasound, is any sound above the 20,000 Hz threshold of human hearing. Dog whistles, plug-in pest control devices, and the echolocation techniques of bats are all examples of this type of sound. It's also used by doctors for medical imaging, such as when it's time to see a baby in the womb for the first time. So, can ultrasound make you sick? There's some evidence that suggests ultrasound can heat up tissue via rapid vibration (or resonance) if the device emitting it is pressed against a person, but it isn't very effective at range. The sound falls off rapidly as it travels through air, water and other materials, so it's unlikely to penetrate the body and cause any problems. We know this because the US military looked into ultrasound weapons and deemed such weapons as impractical. Basically, if you're young and have great hearing, ultrasound might be barely audible and mildly annoying - but that's about it. Rodents can actually hear the high-pitched notes of those ultrasound pest devices quite well, after all, and they're rarely deterred by them. So whatever odd sound made people sick in China and Cuba is probably not ultrasound. Infrasound, or infrasonic sound, on the other hand, is a completely different beast. These sounds come in under 20Hz and are more of a low rumble than a deep bass note. In nature, infrasound is caused by things such as earthquakes, lightning, ocean waves and even some animals. Elephants, whales, hippos, rhinos, giraffes and alligators all are known to use infrasound to communicate with one another. You can test your hearing on elephant-like infrasound at the Cornell Lab web site. But infrasound can also be manmade, and it can have some seriously weird effects on the human body. It's been known to cause symptoms such as headaches, dizziness, annoyance, fatigue, tinnitus, heart palpitations, and a general feeling of pressure on the abdomen. It also isn't uncommon for people to experience nausea when exposed to infrasound, which is funny when you realise the word "noise" is derived from the Latin word "nausea". The word "noise" is derived from the Latin word "nausea". This is all possible because infrasound has a long wavelength that allows it to travel further and bend around or penetrate the human body easier. As Seth S. Horowitz at Popular Science explains, these sounds create an oscillating pressure system, which vibrates the fluid in your eyes, the gas in your lungs, and any other liquid or gas filled pockets of your body, and this causes the tissue around the pockets to stretch and shrink. ...both voluntary and involuntary contractions of muscles, and can cause local muscle fatigue, particularly when the vibration is at the resonant-frequency level. Furthermore, it may cause reflex contractions, which will reduce motor performance capabilities. Doesn't sound fun, does it? But you've probably experienced infrasound even if you didn't realise it. Horror movies and haunted houses have been using a type of infrasound - or what's colloquially known as the "fear frequency" - to make audiences feel uneasy, nervous and scared for years. The "Fear Frequency" of 17Hz. It comes in under 20Hz, usually at around 17Hz. You usually can't even tell it's playing unless you have a decent pair of headphones or speakers and turn your volume way up. So it is possible for sound to make you "sick", or at least not feel well, as long as you're exposed to constant infrasound at a high enough volume, such as the engine room of a large ship, a massive wind turbine, or if you spend too long in a haunted house using the fear frequency. It's also possible if some jerk buys a "sonic nausea" prank device and uses it on you, but I wouldn't worry about that too much. There are also those speech jammer devices that bounce your words back at you with a tiny delay and mess up your ability to speak. Thanks QI! That's the basis of noise cancelling headphones. Flip a waveform 180degree out of phase and send it back it cancels out. If you get 2 speakers and wire one out of phase and aim them at each other then will cancel each other out. (In practicality because of how speakers work it won't cancel 100%). The explanation I read wasn't that it literally silenced you, it was that by playing the sound back with a slight delay it messes with your brain. You're expecting to hear it a certain way and when there's a delay, or rather echo the brain struggles to process it so the person can't speak. Ahh so something different. I might have to read up on it. You mean like listening to Nickleback?